Buff nail plate to remove any shine from all nails. Make sure to wash hands thoroughly before applying a thin single layer of EverGlaze® Prep ensuring better adhesion of lacquer. Apply two thin layers of EverGlaze® Extended Wear lacquer. While holding brush at a slight angle above the nail, touch lacquer down in the centre of the nail plate gliding down the nail in a single swipe motion, being sure to seal the free edge of the nail. Apply a single layer of EverGlaze® Active Top Coat with the same technique as lacquer application, being sure to seal the free edge of the nail. Allow the system to cure in natural light, to get the lasting power of gel without the hassles. If lacquer gets on skin, be sure to detail surrounding area with polish remover. EverGlaze® Active Top Coat must be completely dry before applying any cuticle oil. 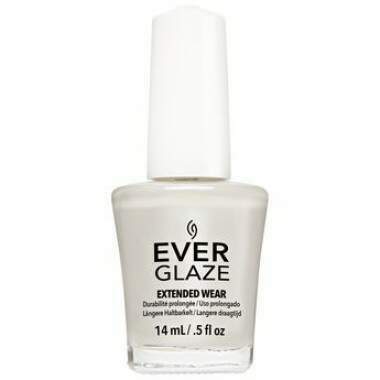 To change colour, EverGlaze® Extended Wear manicure removes easily with polish remover.